A year ago, in the winter of 2017, an outbreak of viral hepatitis occurred in the Ukrainian city of Nikolaev. 132 local residents, including 27 children, were infected through dirty drinking water. The police could not identify the source of the infection. And the city authorities refused to publish true and complete information about the quality of drinking water. Residents of the city began to accuse traders of water. But, many citizens believed that the infection occurred through the water supply. The initiative group of citizens decided to investigate this situation. The activists joined together to force the authorities to monitor the quality of drinking water and inform the public about the results of these inspections. In April 2018, NESEHNUTI helped activists plan a public campaign. 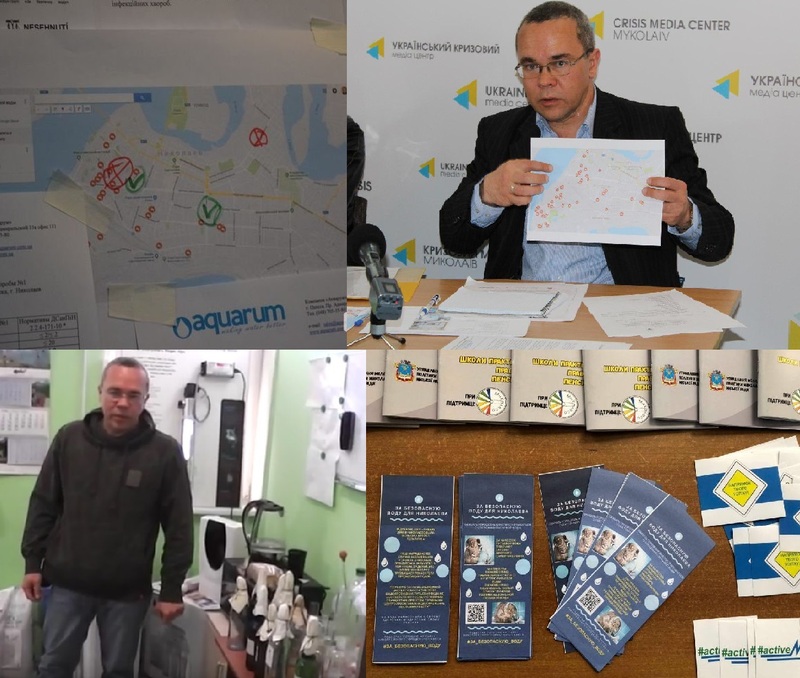 As part of the “Initiative Way“ program, Ukrainian activists received financial support for conducting independent assessments of drinking water and for conducting an advocacy campaign. In just a couple of months, the group “For Safe Water” has grown to 500 people. Activists demanded that the authorities strengthen control over the quality of drinking water and publish publicly available examination results. Project participants conducted an independent examination of drinking water: they took samples in the area where an outbreak of hepatitis was recorded. Water samples were taken to an independent laboratory located in the neighboring city – Odessa. The results of the examination showed that the tap water does not meet sanitary standards. In order to draw public attention to this problem, the members of the group “For Safe Water” held 3 press conferences, 5 speeches in the press, on radio and television. More than 50 informational messages were published in local and republican Internet publications, and a large educational campaign was conducted in social networks. Activists even spoke at a large youth forum with the report “Youth of Nikolaev – for safe water”. When members of the initiative group created a petition on the site of the City Council, it was signed by 250 citizens. But, government agencies did not want to do their job. Residents of Nikolaev could not find out where the safe drinking water is in the city. Then the initiative participants created an online map, where they marked the places for the sale of water and the places where they took the water for examination. Activists demanded that the authorities create a so-called “white list” of places where safe water is sold. The city of Nikolaev is located in the south of Ukraine at the confluence of the Ingul and Southern Bug rivers. However, there was always the problem of drinking water, because the water in these rivers is not suitable for drinking. 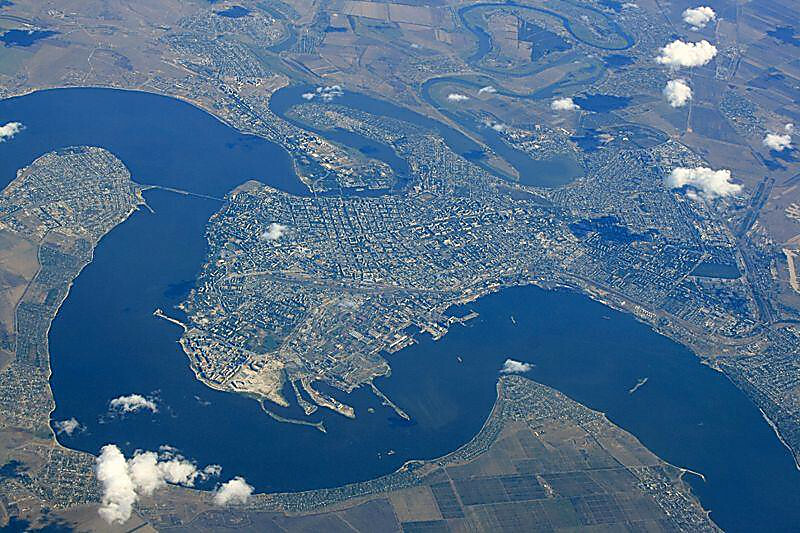 Therefore, water flows into Nikolaev through a 70-kilometer water supply from the Dnieper. Until recently, water also came from the Ingulets River. But, in 2010, the reservoir that supplies water to one of the major areas of Nikolaev was allegedly lowered for cleaning. Since then, this reservoir has remained only on the maps, but in reality it does not exist. Another source of drinking water for Nikolaev is water from artesian wells and the so-called “purified drinking water”. In the city more than 30 large and small companies sell such water. In Nikolaev about 300 points of sale of water. This is a very profitable business: the price of water is more than 100 times higher than the price of tap water. Activists of the group “For Safe Water” entered the advisory council of the city executive committee and twice asked the mayor of the city to publish the results of water sample checks. But, the city authorities, as before, did not want to be transparent and did not support the initiative of the citizens. The reason is that many water companies are controlled by the deputies themselves and local politicians. Activists needed additional knowledge on lobbying for civil initiatives. 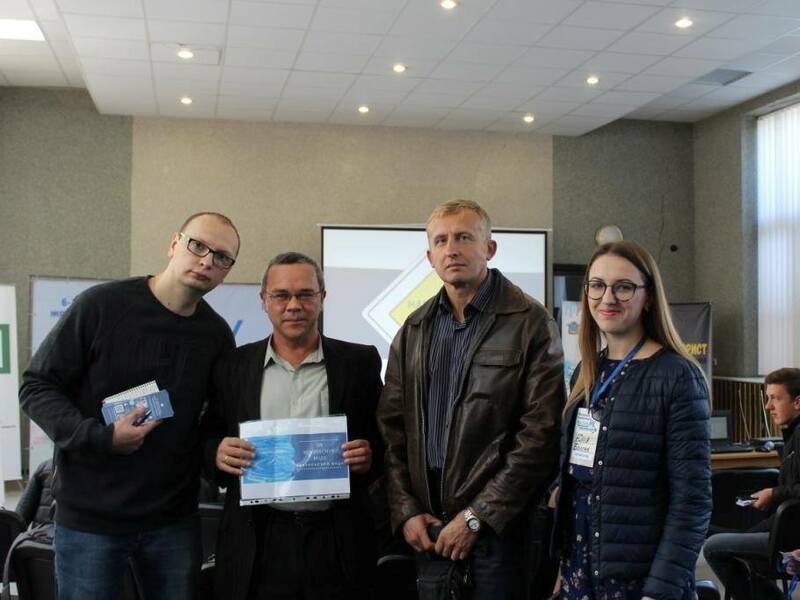 In October 2018, at the request of Ukrainian activists, NESEHNUTI organized in Nikolaev a training on lobbying for civil initiatives. Experienced lobbyists told training sites how to protect their rights and what to do when the problem is not solved at the level of local authorities. NESEHNUTI helped the initiative’s participants conduct additional water control examinations. 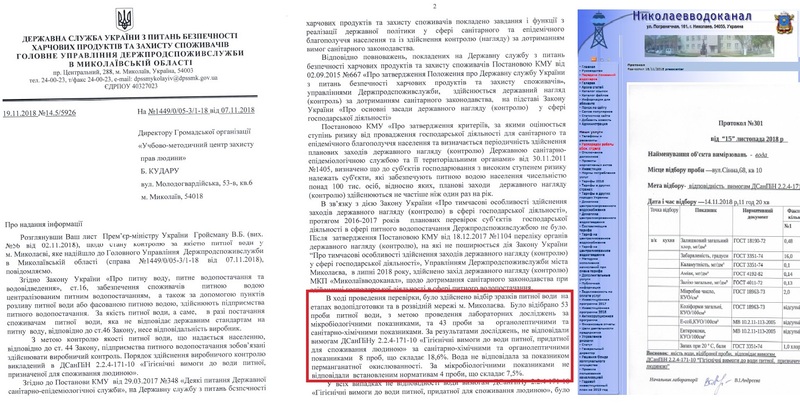 The activists sent the Prime Minister of Ukraine the results of these and previous analyzes. The initiative group “For Safe Water” asked the Cabinet of Ministers (Government of Ukraine) to influence the situation with drinking water in the city of Nikolaev. And only after that the matter got off the ground. On November 20, 2018, activists received a response: “The State Food Consumer Service” (a special inspection that monitors the quality of food and drinking water) conducted 96 examinations of water in the territory of Nikolaev and began publishing the results of these checks on the Internet. Activists of the For Safe Water group have achieved the goal of their campaign. Now they put the results of drinking water quality checks on an online map. They will distribute this map in social networks so that the residents of Nikolaev know where there is safe water in the city. 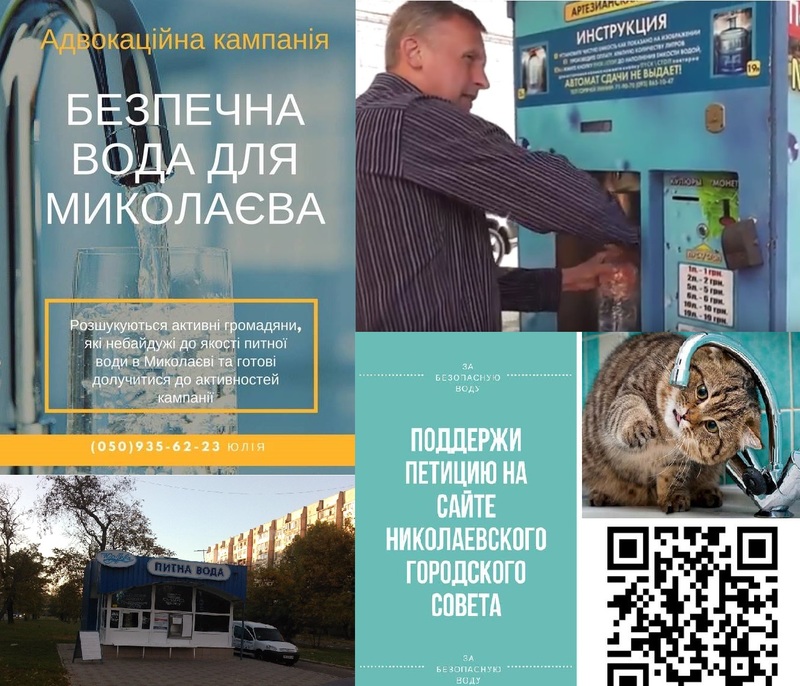 “Clean water for Nikolaev” is not only one civil initiative that was supported by NESEHNUTI in 2018. Thanks to Czech colleagues, Ukrainian activists have implemented 5 civil campaigns. For example, in Kherson, the work of urban transport has been improved, school trustees have been established in Kropyvnytskyi. These tips help student parents monitor school budgets. Special attention is paid to youth initiatives. This year, the Pathway Initiative program supported the anti-corruption initiative of students at the University of Kherson. And, in the city of Voznesensk, young people built a warehouse to collect and dispose of used batteries. The activists of the initiative For Safe Water have big plans for the future. During the campaign, they learned that the same problem exists in other regions of Ukraine – in Kherson, Zaporizhia, Cherkasy and Dnipropetrovsk. They will share their experiences with residents of other cities. To do this, they have already created a special group in the Facebook network “Friends of NESEHNUTI”. In addition, the group For Safe Water plans to create a social enterprise in order to deliver safe water to those who cannot pay the high price for it – to orphanages, boarding schools, schools and nursing homes. This will be a big and difficult job. Thanks to the support of Czech partners, Ukrainian activists gained new knowledge and experience in lobbying for civil initiatives, they were able to conduct expensive water expertise, conduct a large information campaign and force the authorities to work on improving the quality of life of Ukrainians.